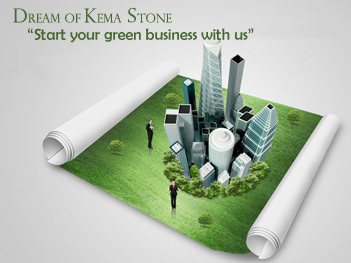 A harmonious development of the society, economy and environment are a natural platform of existence for Kema Stone. With the responsible ethos of sustainable development, Kema Stone focuses on high-quality low-carbon green stone that benefits our clients, the environment and future generations. Our creative and advanced technology makes it more efficient to use of stone resources and protect the environment.